Today's Friday Forecast calls for clear skies, mild weather, and a 100% chance of lead flying downrange. I am getting the opportunity to do some high volume shooting this weekend. I'm pumped too, if you couldn't tell. 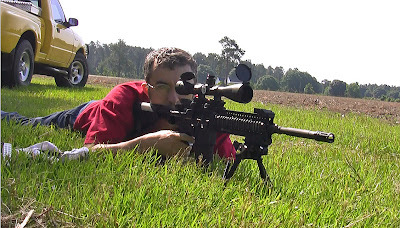 Stay tuned for upcoming videos on zeroing the Vortex Razor Red Dot, some drills you can easily do on a 25 or 50 yard range, CMC trigger long range work, and maybe even some video of something I do that you've never seen before.